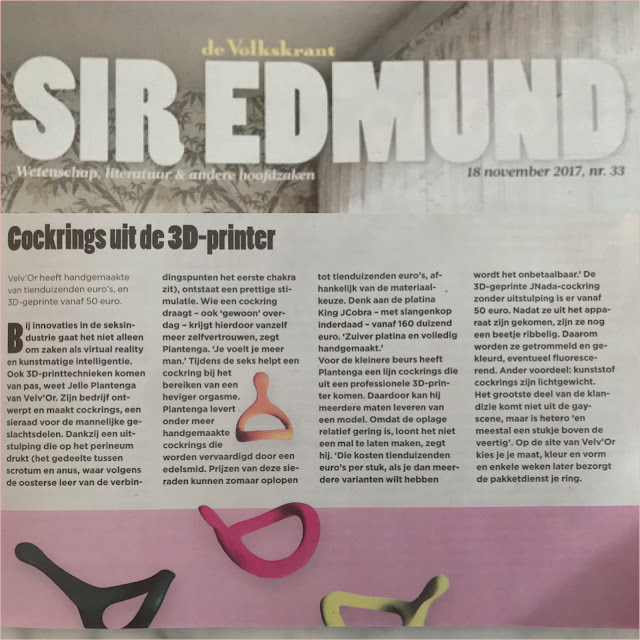 What a pleasure it was to have an interview with Bard van de Weijer from De Volkskrant (one of the biggest Dutch Newspapers) and talk to him about the 3D Printed products of my brand Velv'Or and of course seeing the finished article in the amazing Sir Edmund nr. 33. The reactions to the article were great and I hope many Newspapers and Magazines will follow De Volkskrant in their footsteps. Thanks for sharing this post and the link to the article with your friends and family.